I'm not sure about you but that news got my heart racing in fear and excitment! I LOVE Isabel Marant but sometimes when designer go h&M it doesnt do them justice, so I hope she maintains what we all love about her and give us more reason to wear her designs! 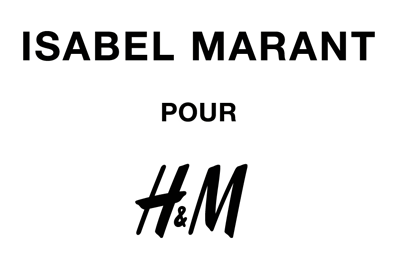 H&M is proud to announce its autumn collaboration with Parisian designer Isabel Marant. With her effortless style, Isabel Marant has created a widely influential and successful take on Paris chic. Mixing urban attitude, boho elegance and rock ‘n’ roll spirit, she delivers a genuine French allure. For H&M, Isabel Marant will create a wardrobe of must-have pieces inspired by her signature style. Available from November 14, 2013, in around 250 stores worldwide and online, the collection features clothing and accessories for women and teenagers. Isabel Marant will also, for the first time, create a collection for men. “I am flattered by this collaboration. H&M works with the best designers and this invitation is an exciting honour. I aim at creating something real, that women want to wear in their everyday lives, with a certain carelessness, which I think is very Parisian: you dress up, but do not pay too much attention and still look attractive. The collection is infused with this kind of easiness and attitude. Everything can be mixed following one’s own instincts. My take on fashion is all about personality,” says Isabel Marant.